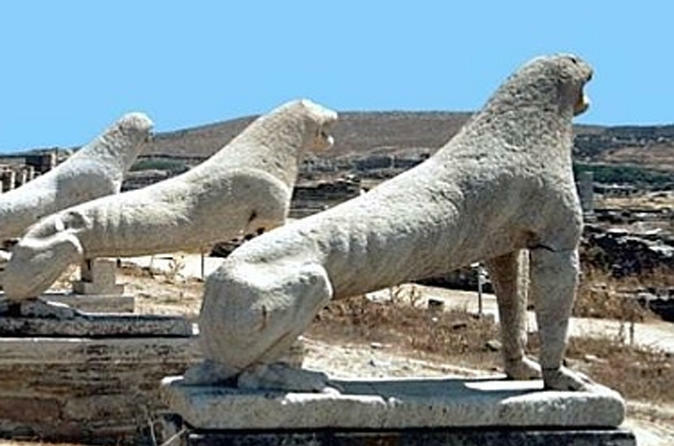 Discover Ancient Delos and its legends. This half-day tour will guide you through the Agora, the Sacred way and the Temple of Apollo. You will also admire the house of Dionysus, the House of Cleopatra, and other notable homes. Visit the natural insular archaeological site of Delos and enjoy swimming to a secluded cove off the uninhabited island of Rhenia on an 8-hour yacht cruise. Combine the two islands in one day sailing away into ancient history and private beach time with a yummy light lunch and beverages on board. 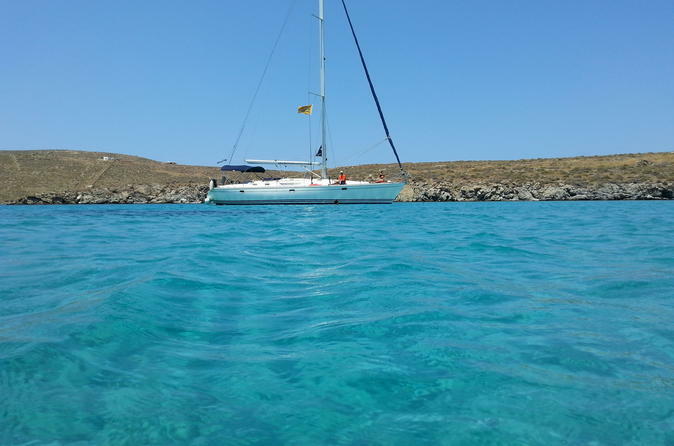 Mykonos Catamaran sailing tours: the top thing to do in Mykonos! Sail on a stable and safe catamaran for a unique sailing experience. Alternative, unforgettable day excursions from Mykonos to the surrounding islands (Delos & Rhenia) or to the south beaches of Mykonos. Sail towards unspoiled coves and dive into the turquoise waters away from the crowds. Two swimming/snorkelling stops (snorkelling gear provided). Outstanding service. 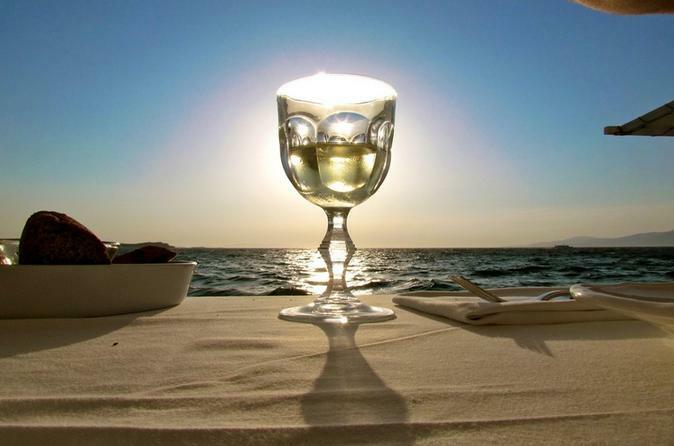 Full meal served aboard: Mediterranean style, freshly cooked on-board, right in front of you! 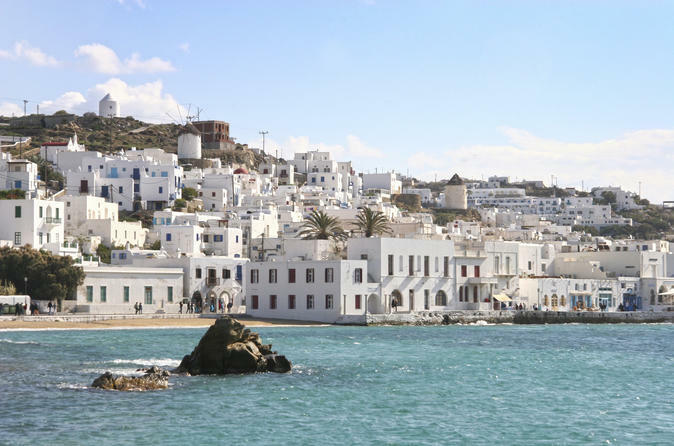 While you’re in port in Mykonos, head out on a private shore excursion to enjoy the best of the island, from traditional houses to historical wonders. 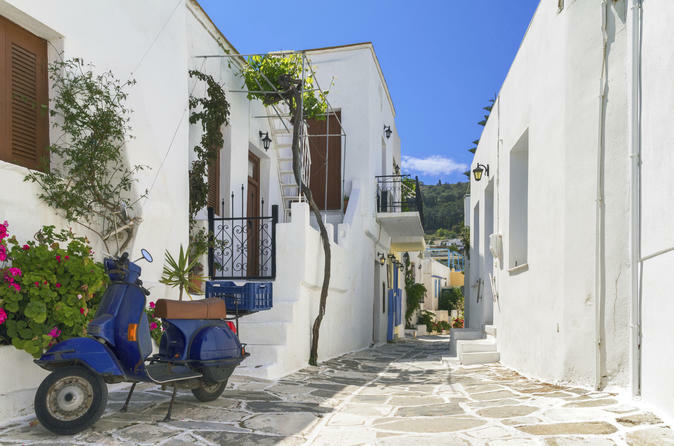 Explore the narrow streets of Mykonos' old town and Little Venice with your private tour guide, who will ensure that you receive personalized attention. Enjoy free time to shop or get a bite to eat before heading back to the port. Let your taste buds do the traveling during this 6-hour cooking class in Mykonos. 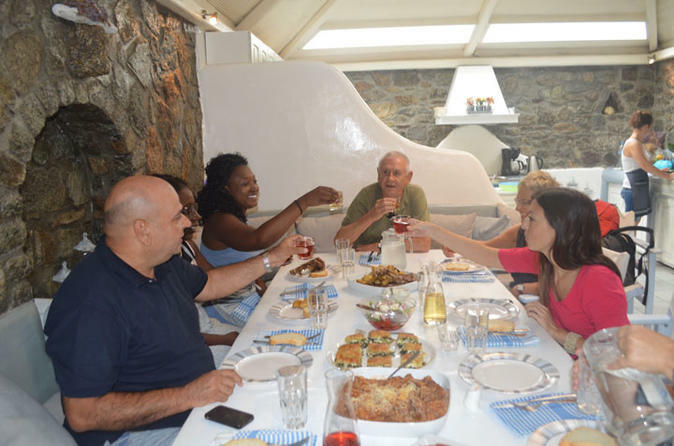 Make an authentic Greek meal and then savor it with your fellow cooks, all under the friendly and helpful eye of a professional. Learn how to make classics such as stuffed peppers and spinach pie, and wash it all down with wine and drinks. 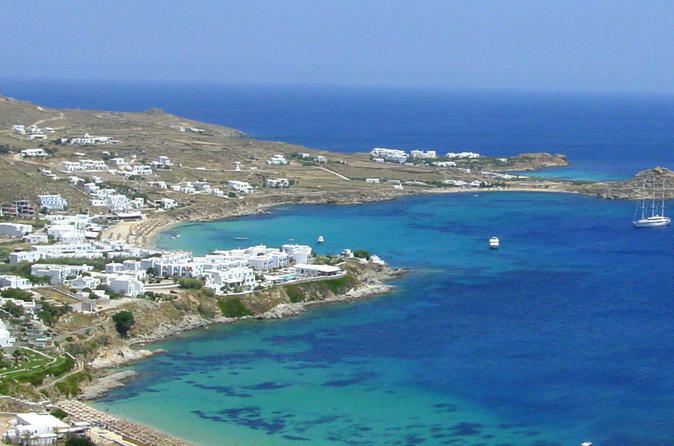 There is also the option to add a farm or island tour or a walking tour of Mykonos Town or Ano Mera village. Don’t miss this chance to learn about an important part of Greek culture and get away from the hustle and bustle. Escape the crowded beaches of Mykonos on a 7-hour yacht cruise to the uninhabited island of Rhenia, also known as the “Big Delos”. Enjoy the privacy of a fine sandy beach, swim and snorkel in the crystal clear waters, sunbath, and savour a light lunch with drinks and beverages available on board. 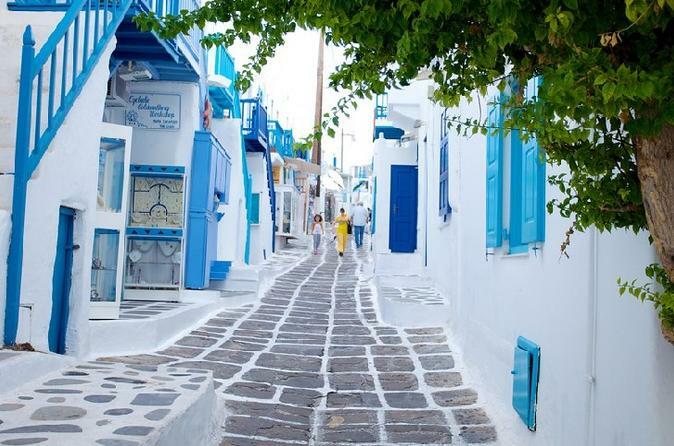 Explore the streets of the most fabulous island of the Aegean streets and experience the true beauty of Mykonos. On this 3-hour guided walking tour, you will see and visit main sights as well as underappreciated ones not seen by many tourists. Hotel or port pickup and drop-off is included. 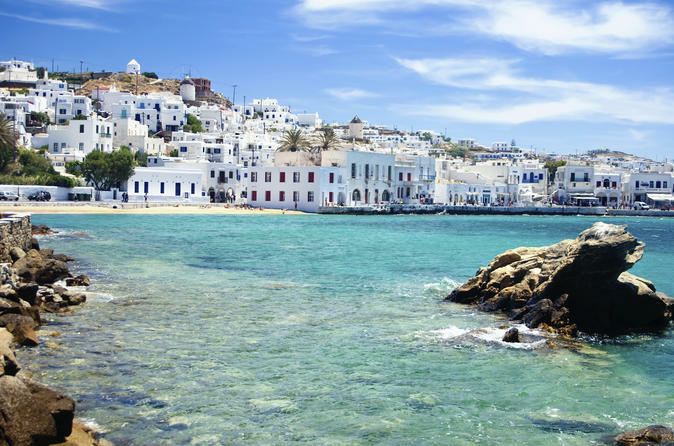 This guided tour will show you the authentic side of Mykonos. Aside from its cosmopolitan status the island has an authentic side which you will discover by touring the villages, the little harbors and its magnificent remote beaches. A unique experience you should not miss. Swap the hustle and bustle of Mykonos Town for an alternative view of the rugged Aegean island on this full-day safari. Get behind the wheel of an all-terrain vehicle and set off in a convoy along scenic coastal roads. Zoom past postcard-perfect villages, complete with sugar cube houses, and gorgeous, sandy beaches, pausing every now and then to learn about life on Mykonos and hear interesting stories about the island’s history. See sights like the ruined Venetian castle of Gizi and enjoy plenty of stops for photos and relaxing strolls along the coast. 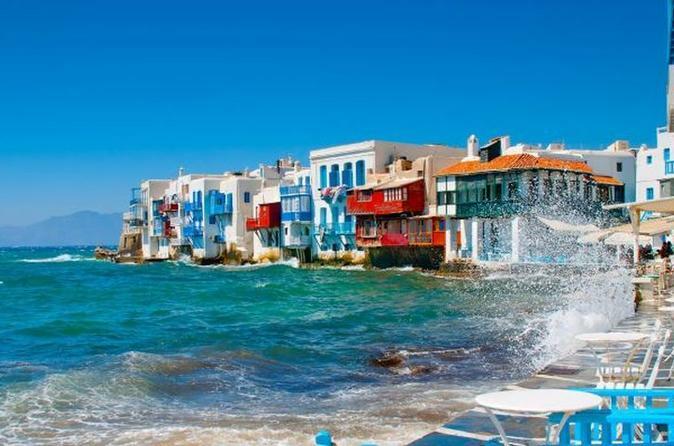 Discover the beauties of Mykonos town and stroll around the picturesque narrow streets! Sail south through the sunkissed Cyclades islands on a 7-night sailing adventure by yacht that starts from Mykonos and finishes on Santorini. 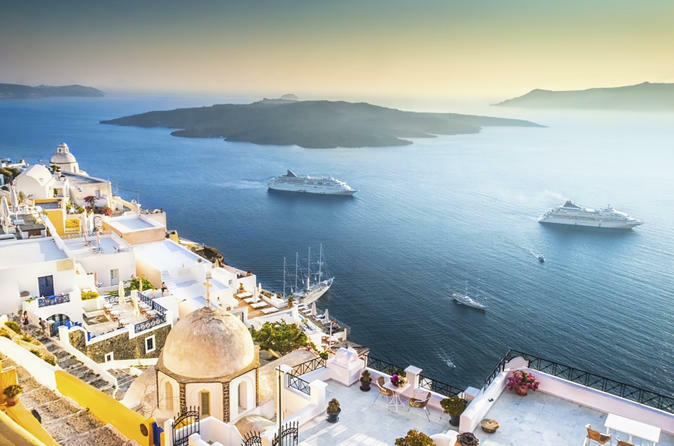 The budget-friendly independent cruise allows you to discover some of the most picturesque Greek islands while helping out the crew as you sail. 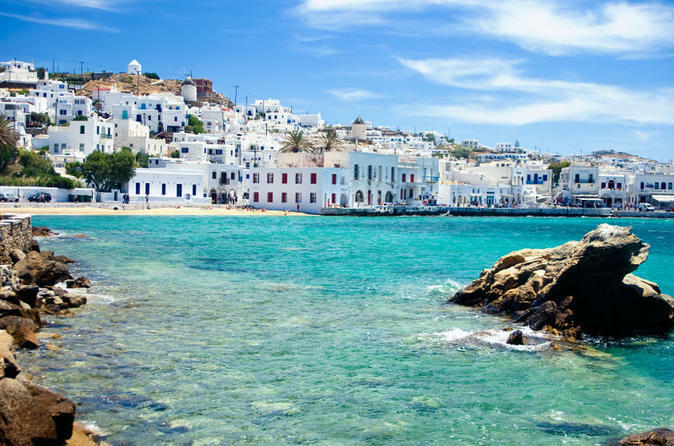 Soak up the blissful solitude, swim and sightsee by day, and dock each night on Mykonos, Naxos, Amorgos, Ios and Santorini as well as a smaller lesser-known island in the archipelago. 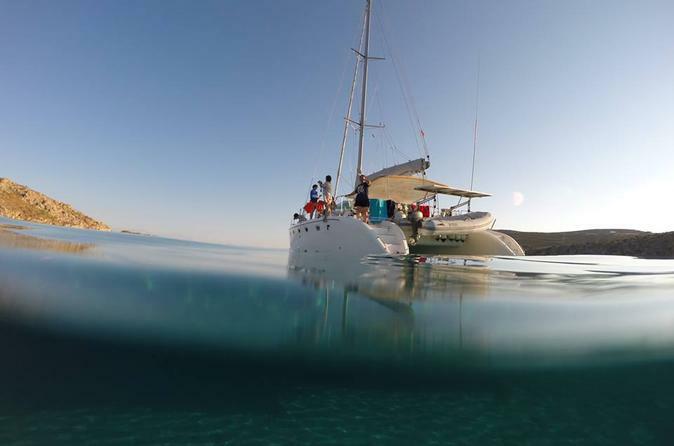 Discover the magic of the Aegean big blue - join us on a guided scuba dive to explore the Earth's last frontier. A unique opportunity to combine traditional animal farming and gastronomy delights. 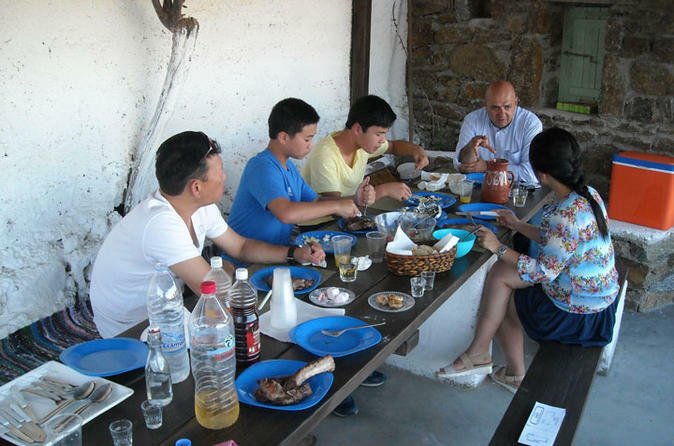 Enjoy the tranquility of the Mykonian Farm and participate in an authentic traditional barbecue. 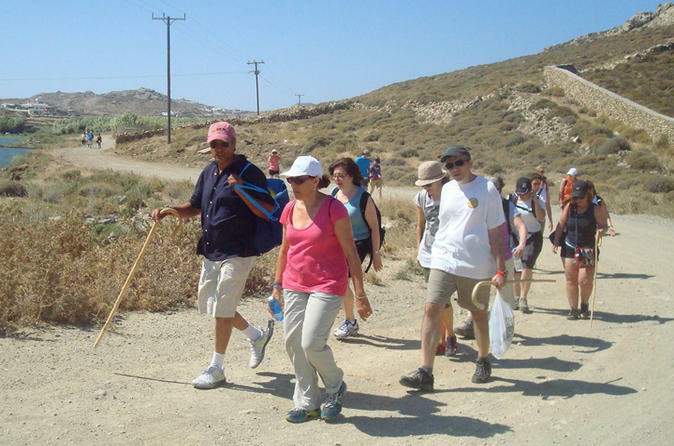 Hiking in Mykonos is a unique experience and a different way to admire the landscape of the island and get a feel of it. See Mykonos as never before. 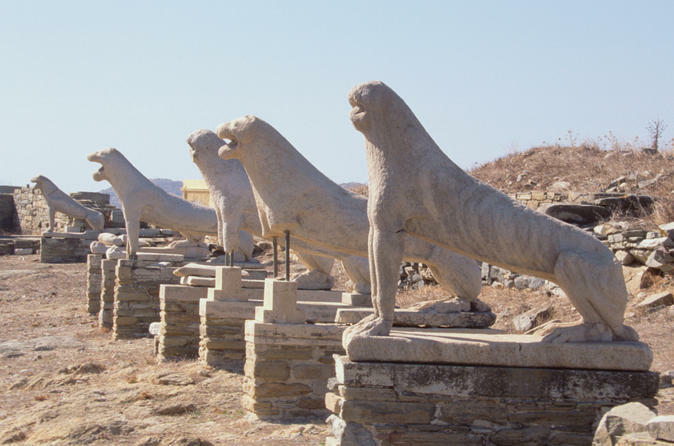 *Note: Suitable for cruise ship day stops"
Discover Ancient Delos and its legends. 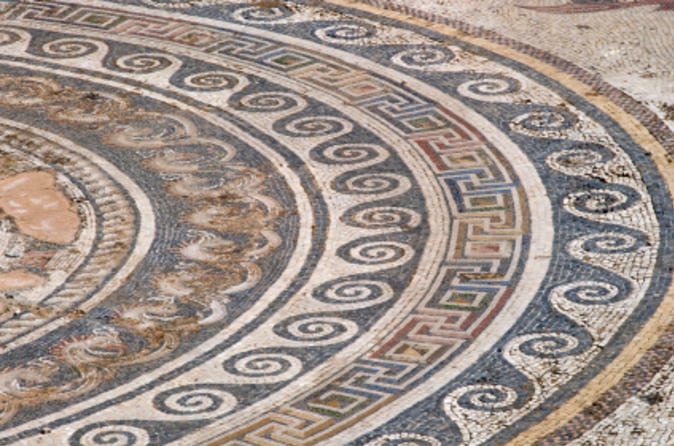 This private tour will guide you through the Agora, the Sacred way and the Temple of Apollo. You will also admire the 2,500-year old mosaic floors and the Avenue of the Lions, before returning to Mykonos and the Mykonian Spiti for the unique experience of a cooking class which will provide you with an experience you will always remember. 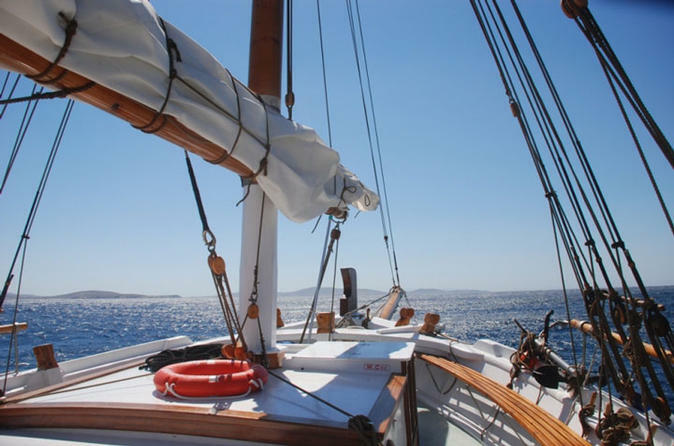 Venture from Santorini to Mykonos on a 7-night sailing adventure through the Greek Cycaldes, a chain of enchanting islands scattered around the Aegean Sea. 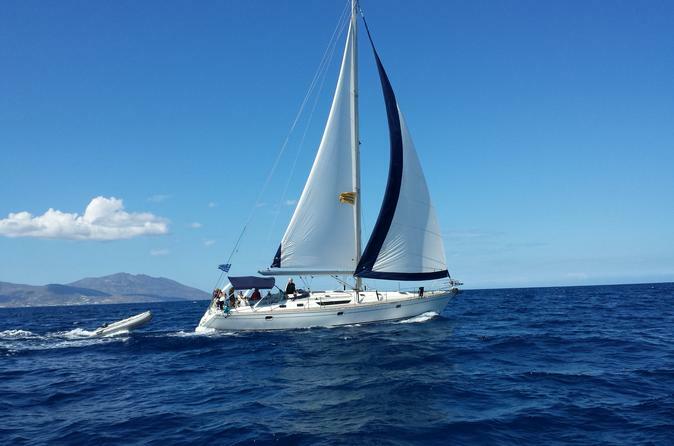 The budget-friendly cruise takes place aboard a small yacht, allowing you to help out the crew and try your hand at sailing in between island visits. 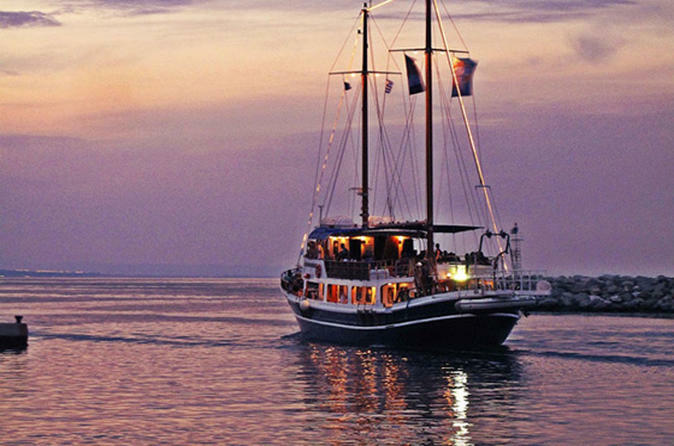 Dock each night in Santorini, Ios, Amorgos, Naxos and Mykonos as well as a lesser-known island in the archipelago, and make the most of ample free time to swim in the sea and discover villages typified by sugar-cube houses and sun-drenched scenery. Numbers are limited to nine on this small-group sailing adventure, ensuring a personalized experience. Discover the wonders of the underwater world with the PADI Discover Scuba Diving program. 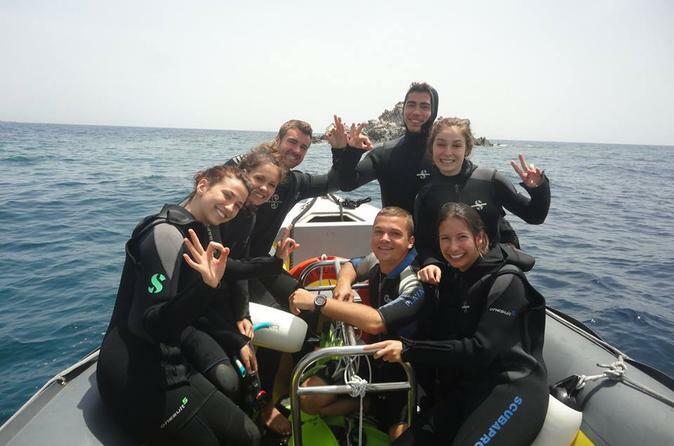 A fun introductory dive designed to provide you with a safe and unforgettable experience. 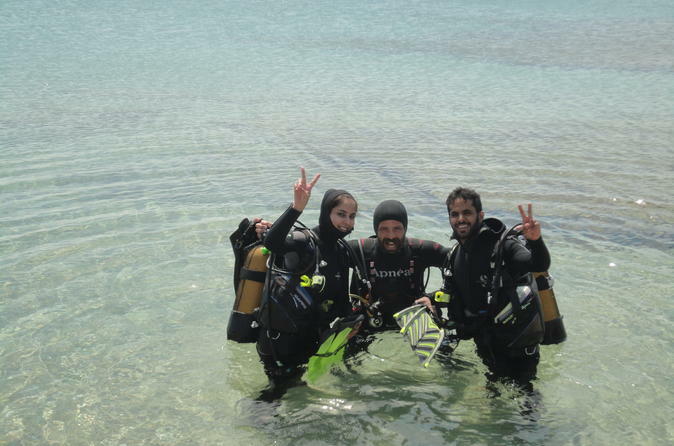 Learn to Scuba Dive with professional instructors who will guide you through the basics of Scuba Diving and enjoy the natural wonders of the marine environment. The island of Mykonos boasts of local people that are very proud of its traditions and that could keep its culture alive through many centuries of lively history. How did the Myconians live and which traditions are being kept until today? Our excursion deals with these subjects. 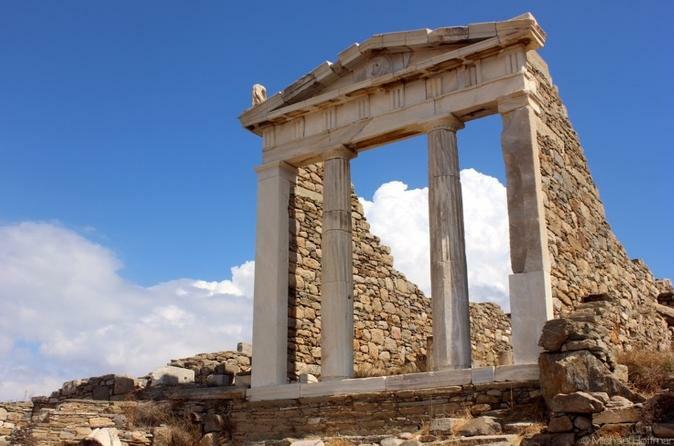 Discover the legends and beauty of Delos on a half-day tour, led by a private local guide. After a boat ride from Mykonos, explore the island’s sacred ruins and relics while hearing tales of Greek mythology. Spiritually significant, Delos is said to be the birthplace of the Greek gods Apollo and Artemis, of whom many of its sights are linked. Walk around the UNESCO-listed island's archeological site (own expense) and see the Sanctuary of Apollo, Sacred Way, Terrace of the Lions and more! 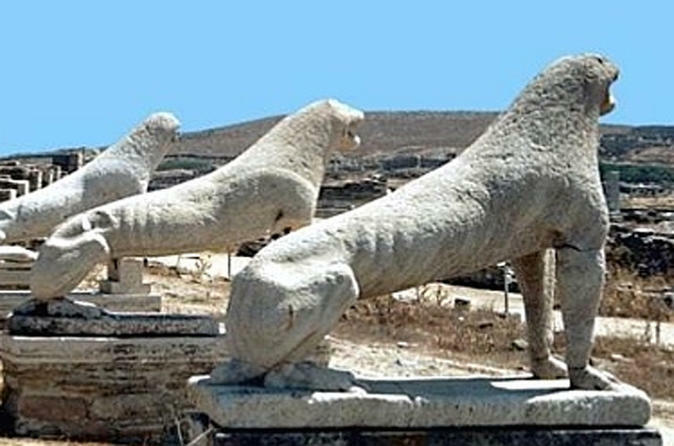 Discover Ancient Delos and its legends.Take a half day trip to the birthplace of Apollo and have an unforgettable experience. 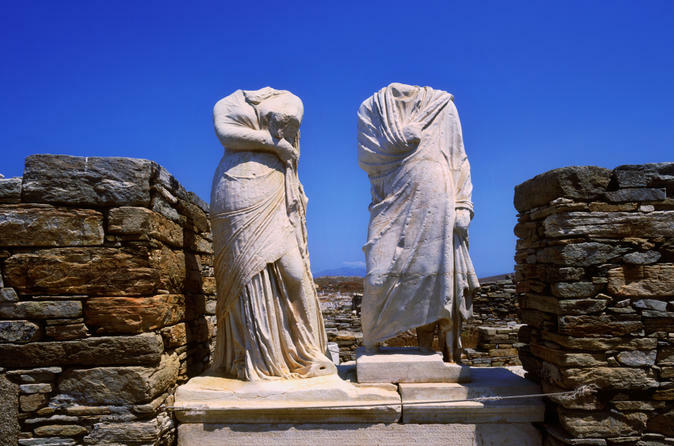 Seize the opportunity to take a trip back in time and visit the island of Delos, the most famous and sacred of all islands in antiquity... According to Greek mythology, Apollo, god of light - the sun, and Artemis, goddess of the moon, were born on Delos - infamous birthplace of Light, which the Greeks always regarded as precious. Included with the services of a professional guide, we bring you to the heart of a destination that will be an unforgettable experience. An entire ancient city awaits the visitors: the Stoa of Phillipe, the Propylaia, the Collosus of the Naxians and the Temples of Apollo are the monuments everyone will admire before the last stop in front of the Sacred Lake and the eternal Naxian Lions. 4x4 Adventure is a self-drive, small group tour. 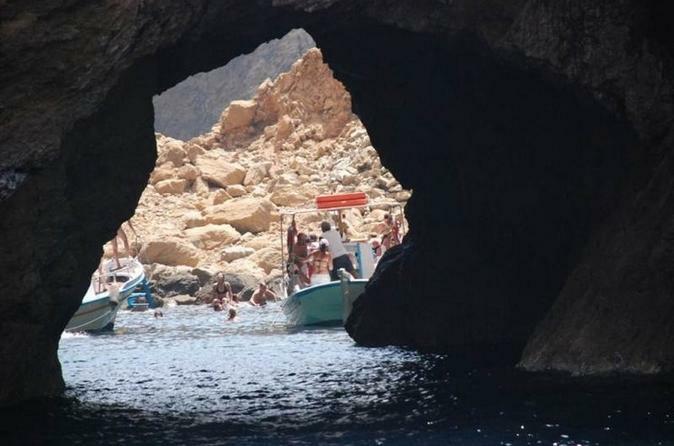 See the hidden corners of the island of Mykonos which are inaccessible unless by a 4x4 vehicle. Enjoy breathtaking views, rural areas, beautiful beaches and the unique feeling of driving in a 4x4 vehicle! 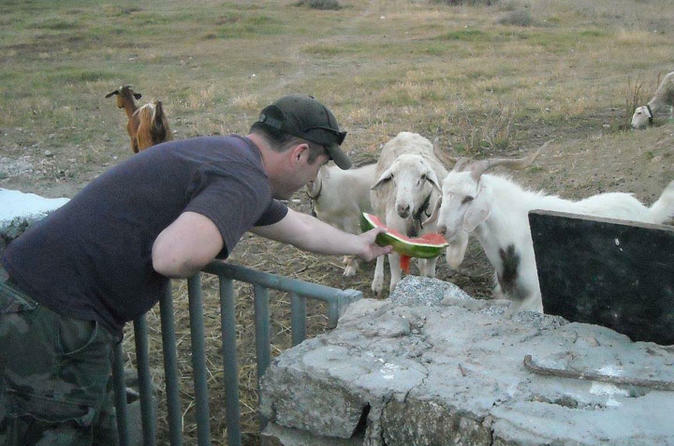 The ideal adventure that will bring us close to the traditional animal and organic farming of a Mykonian Farm. The farm began operating on October of 2012, and it is moving slowly and steadily forward to re-establishing the Mykonian traditional farming. 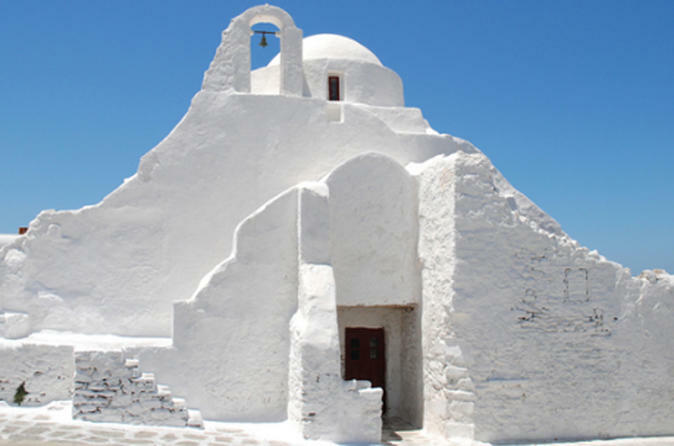 Sail from Mykonos to the nearby island of Tinos and explore authentic villages and the famous church Evangellistira. 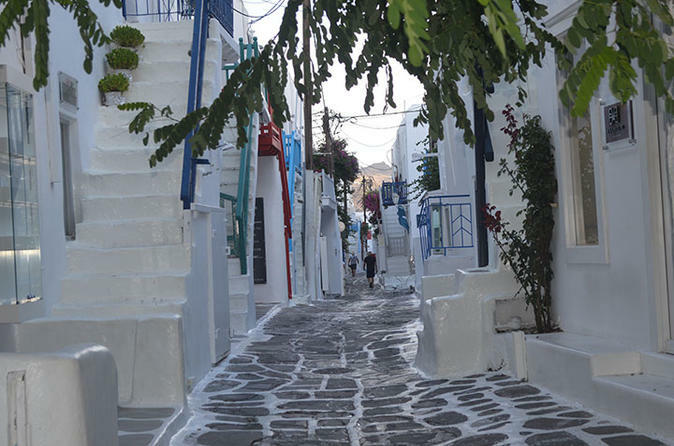 Explore Mykonos’ romantically rugged Old Town on a 2.5-hour tour, led by an attentive private guide! Operating at a time to suit your schedule, the comprehensive tour includes a walk around the island’s stunning Old Town with its pretty whitewashed houses, and the neighborhood of Little Venice, where buildings frame the waterfront. 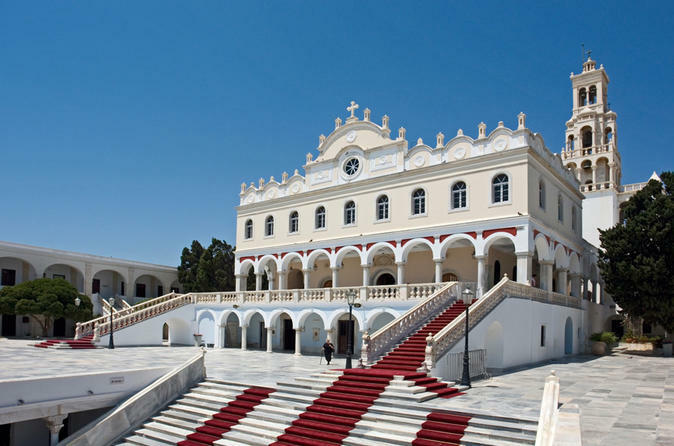 Admire sights like the Church of Panagia Paraportiani and enjoy free time to see the sights at your own pace, too.